is a bright red eyesore that people are constantly running into. 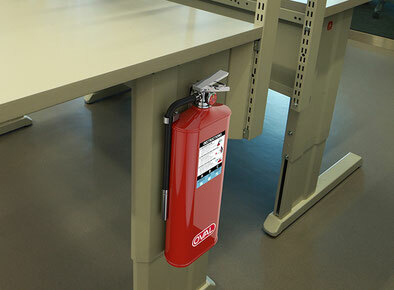 Oval Brand not only flattened our little red friend out, but patented a mounting hook that allows the extinguisher to move out of the way and not fall. From Oval Brand Fire Products.